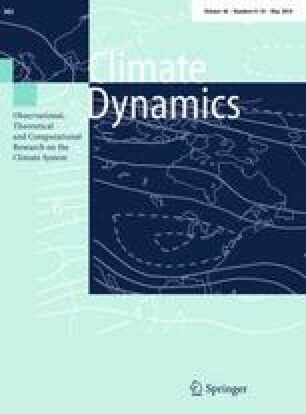 The ability of climate models to simulate atmospheric teleconnections provides an important basis for the use and analysis of climate change projections. This study examines the ability of COordinated Regional climate Downscaling EXperiment models, with lateral and surface boundary conditions derived from Coupled Global Climate Models (CGCMs), to simulate the teleconnections between tropical sea surface temperatures and rainfall over Eastern Africa. The ability of the models to simulate the associated changes in atmospheric circulation patterns over the region is also assessed. The models used in the study are Rossby Centre regional atmospheric model (RCA) driven by eight CGCMs and COnsortium for Small scale MOdeling (COSMO) Climate Limited-area Modelling (COSMO-CLM or CCLM) driven by four of the same CGCMs. Teleconnection patterns are examined using correlation, regression and composite analysis. In order to identify the source of the errors, CGCM-driven regional climate model (RCM) results are compared with ERA-Interim driven RCM results. Results from the driving CGCMs are also analyzed. The RCMs driven by reanalysis (quasi-perfect boundary conditions) successfully capture rainfall teleconnections in most examined regions and seasons. Our analysis indicates that most of the errors in simulating the teleconnection patterns come from the driving CGCMs. RCMs driven by MPI-ESM-LR, HadGEM2-ES and GFDL-ESM2M tend to perform relatively better than RCMs driven by other CGCMs. CanESM2 and MIROC5, and their corresponding downscaled results capture the teleconnections in most of the sub-regions and seasons poorly. This highlights the relative importance of CGCM-derived boundary conditions in the downscaled product and the need to improve these as well as the RCMs themselves. Overall, the results produced here will be very useful in identifying and selecting CGCMs and RCMs for the use of climate change projecting over the Eastern Africa. This study forms part of the PhD thesis of Mr. Endris, and he gratefully acknowledge the Socioeconomic Concequences of Climate Change in Sub-equatorial Africa (SoCoCA) project in Department of Geoscience at University of Oslo (DoG/UiO) for financial support to do his PhD at University of Cape Town. All authors would like to thank the World Climate Research Program’s Working Group for their role in producing the CORDEX and CMIP5 multi-model datasets, and make it accessible through Earth System Grid Federation (ESGF) web portals. We also would like to acknowledge the two anonymous reviewers for helpful comments and suggestions. The NOAA_OI_SST_V2 data were provided by the NOAA CIRES Climate Diagnostics Center, Boulder, USA, from their Web site at http://www.esrl.noaa.gov/psd/data/gridded/data.noaa.oisst.v2.html.